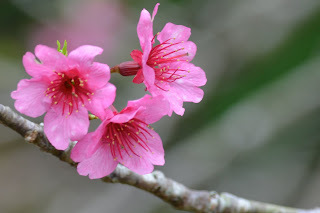 Cherry blossoms are pleasant to experience. First chance I have gotten to see the Okinawa variety since getting stationed over here. They seem a little darker than the ones I have seen in on the mainland and also in the US. Got to say I am glad I got the opportunity to check them out.